MEEK MILL Violated Probation ... HE'S GOING BACK TO PRISON!!! Meek Mill's most recent arrests didn't sit well with the judge, who's sending the rapper to prison for a minimum of 2 years for violating probation. 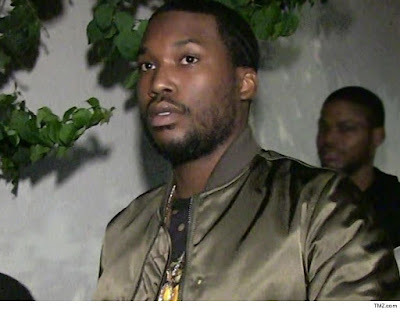 Meek was in a Philadelphia court Monday when the judge ruled he'd violated probation from his 2009 drug and weapons case by getting busted for a St. Louis airport fight ... and his reckless driving arrest in NYC. Even though both cases were dropped, the judge said the arrests alone were violations -- and gave Meek 2 to 4 years in prison. He was immediately remanded into custody. Didn't help Meek's case that he'd previously violated probation in 2015. He got off with house arrest for that one. No such luck this time.